Update: the competition to win a Dell Inspiron 1720 Notebook from Dell Outlet is now closed. Check Google's offices out in this blog post. They do look pretty cool. Do you think the style of an office says a lot about a company? 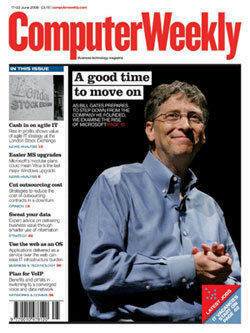 Top story on ComputerWeekly last week was….. So what were your favourite stories on ComputerWeekly last week? What were the headlines that made your fellow IT pros double click? What news or bizarre content piqued your fellow peers interest?